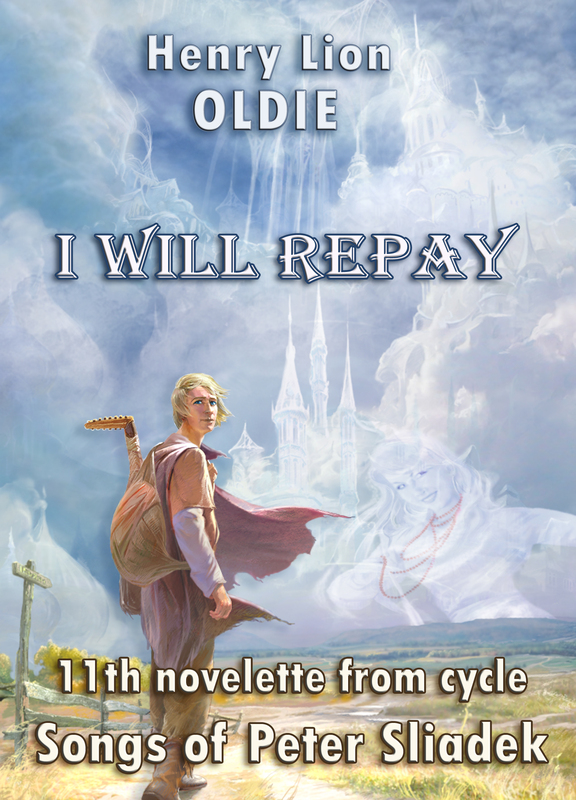 "I Will Repay", the 11th novelette from novel-cycle “The Songs of Peter Sliadek” by Henry Lion Oldie is now available on Amazon and Smashwords! Historical adventure and poetic fantasy & horror; Medieval Europe. 16,110 words, $0,99 only! There are always three Storetzes that live in the village of Yablonez. If a fourth one is born, one of the original three has to die. If a Storetz likes someone, this person will be lucky and happy. If a Storez doesn’t like someone, misfortune, illnesses, and lethal accident will follow such a person until he dies. "I Will Repay" is the 11th novelette from the book “The Songs of Peter Sliadek” by Henry Lion Oldie. The entire novel consists of 12 novelettes. The book received the "Sigma-F" Grand Prize at "Sigma-F Conference" in Moscow, Russia, in 2005. Also the novelette "I Will Repay" received the "Portal" award at the 2nd International SF & Fantasy Assembly of Portal (Kiev, Ukraine, 2005). 8 hard cover editions are in Russian! Now for the first time in English!